Bashful Dino is making history! 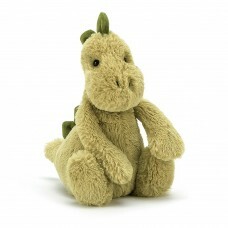 Soft, not scaly, this mossy matey has chunky stomper-feet, a snuggly snout and fine squishy spines from head to tail! This dynamic dino is always rambling round, giving hugs to every t-rex and triceratops! Puppy, bunny, parrot or kitten? 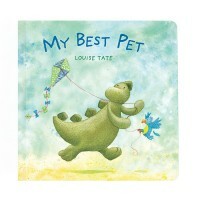 The Best Pet is a book with a different suggestion. How about a dino..